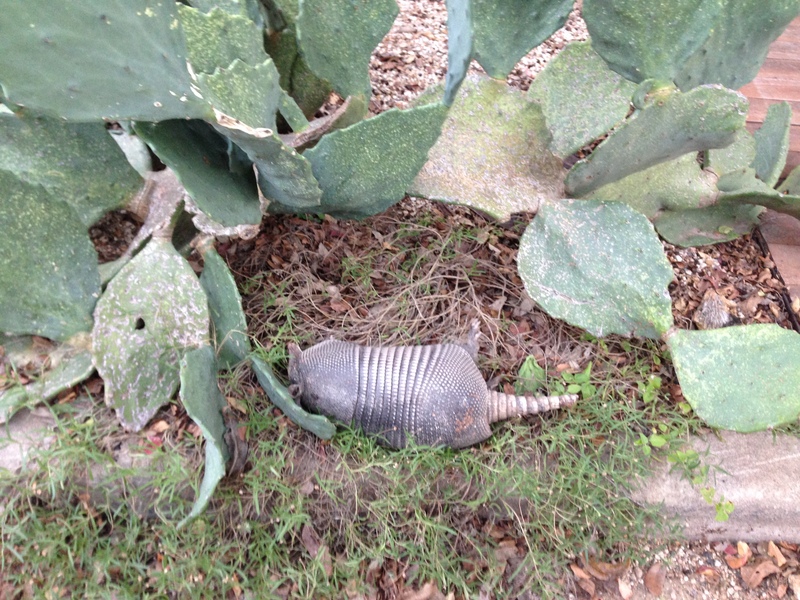 I started writing on a walk with Nina and Sadie when we encountered this armadillo that had passed away. We took a photo because it was so arresting and wanted to share it with Rob who promised we’d see another armadillo when we missed the live one crossing the street earlier that month. While just SEEING the armadillo gave me pause, the act of taking its picture caused me to wonder about the ethics of photographing the dead. I thought if it was a butterfly, I wouldn’t have paused. There was some of me in this armadillo. I guess there still is. It also seemed as if it was asleep and photographing the sleeping has always been something I’ve been uneasy about it (although there is something beautiful about ANYBODY sleeping).